We are sure you have noticed it on your way through, but our new kitchen is nearing completion. We are overjoyed with the final look and only have a few more finishing touches to add until it is completed. 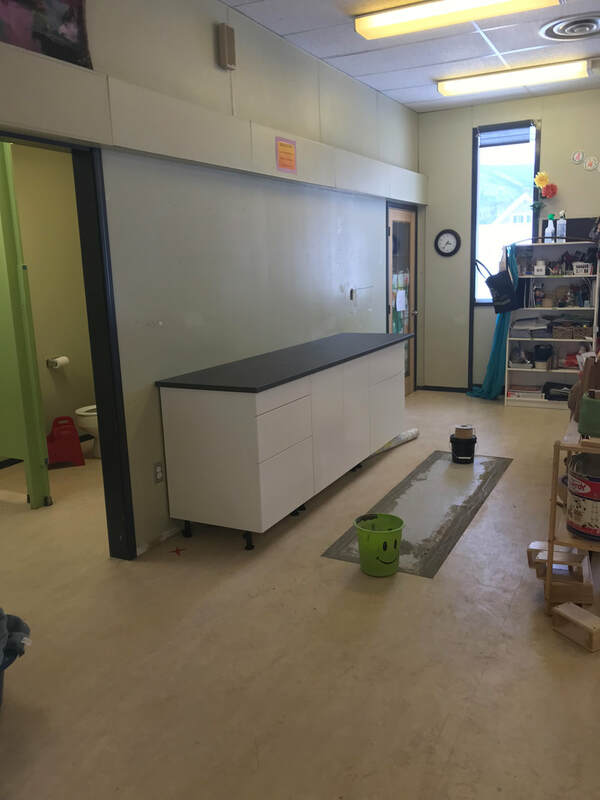 This kitchen will serve as a place to create meals for the children (and with the children) and staff to warm their lunches. We look forward to our next staff meeting when we will get to utilize the new space for our dinner together! ​One of the most exciting parts of the new kitchen is our new, very fast, sanitizing dishwasher! 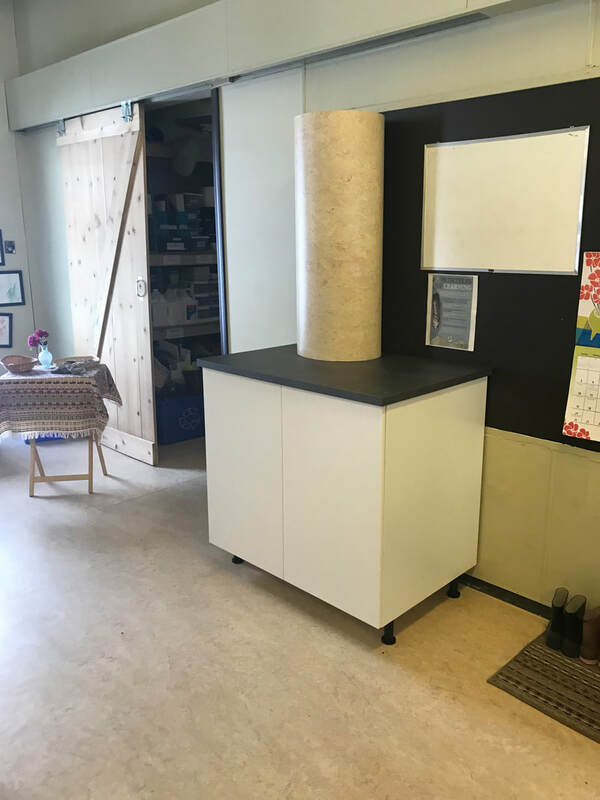 You may also have noticed some new cabinets in the Ducklings and Otter's classrooms. 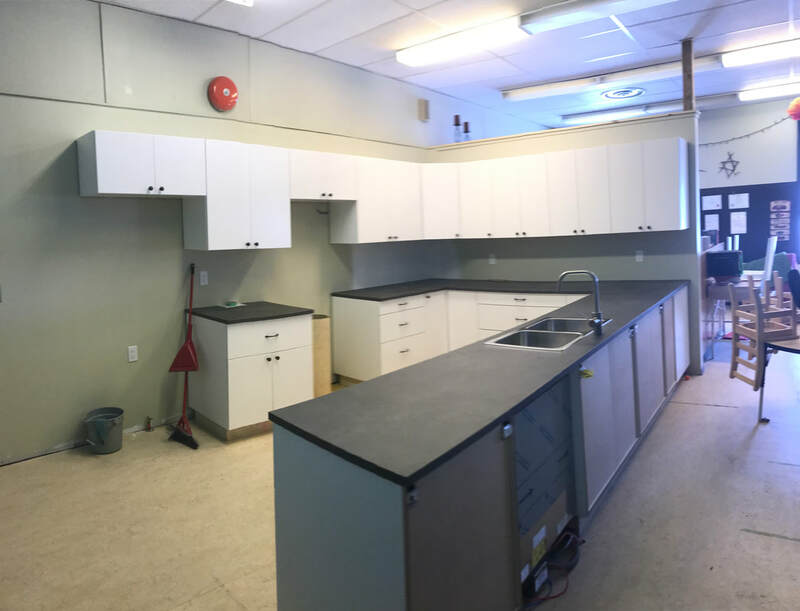 Soon both classrooms will have their own sinks, as well as a fridge in the Otter's classroom. Our staff will soon enjoy their new, much larger staff room for their well deserved breaks and planning/documentation time. Once these changes are done families will no longer have an indoor pathway from Lynx to Bobcats programs and will have to access them from their outdoor entrances. This will help maintain the privacy and integrity of our staff room. More 'major' changes are still yet to come, but a little bit at a time. Stay tuned for more updates, or stop by the desk to chat (and dream) about the next steps in our renovations. The School House is always a busy place. Our staff are continually striving to improve their skills and abilities as educators. We are also undergoing some substantial renovations this spring. Our goal is to improve the quality of our programs and increase the center's max capacity for the community of Nelson.